The Humanities are a meeting point of disciplines and a way of analyzing society and humanity to understand it. Faced with a new 4.0 society, with new needs and concerns, the Humanities need to continue exploring its multidisciplinary nature and, in addition, integrate an intersection that also includes technology and science (STEAM: from the acronym of Science, Technology, Engineering, Art and Mathematics). This hybridization has been key in the definition of the ESDi Digital Humanities studies, which have a new Council made up of leading experts from the social sciences, innovation, philosophy, literature and history, who will be responsible for the implementation and program quality. Likewise, more than 30 experts from all these areas of knowledge, as well as entrepreneurs, have collaborated in the structure of these new studies and in the profile of graduates in Humanities that companies require. The Council, chaired by the Professor of Social Science Teaching Cristòfol Trepat, will also have members of the Textile Design Foundation of ESDi (FUNDIT): the industrial engineer and specialist in innovation and competitiveness Antoni Garrell, and the textile entrepreneur and industrial Josep Bombardó. The Director of the Mobile World Congress and CEO of Mobile World Capital Barcelona, ​​Carles Grau, will also be part of the Council to advise on the area of ​​technology, as a specialist in development, impulse, innovation and digital transformation. In the area related to Philosophy, the council incorporates the figures of Francesc Torralba, Professor of Ethics and writer of popular books, and Joan Campàs, a student of hypertextuality and digital art. To ensure teaching quality and as experts in various areas of the Social Sciences, the Council incorporates other figures related to the Didactics of Social Sciences: Joaquim Prats, Doctor in Modern History and Professor of Social Sciences Didactics, specialized in didactics of History and evaluation of educational systems; Joan Santacana, archaeologist and Doctor in Pedagogy, oriented to the teaching of heritage, educating cities, museum and mobile-learning; Concha Fuentes, historian and Doctor in Didactics of the Social Sciences specialized in educational innovation and continuing education of the teacher; and Josué Molina, anthropologist and Doctor of Social Sciences Didactics, specialized in bioethics, interculturality, teaching methodology and research. The members of the council will participate in a series of conferences, colloquia, seminars and courses for secondary teachers from all over Catalonia, to facilitate their penetration in topics such as the professional future of the digital natives, the educational strategies for a critical citizenship in the 21st century. and the need to study the Humanities in the contemporaneity. 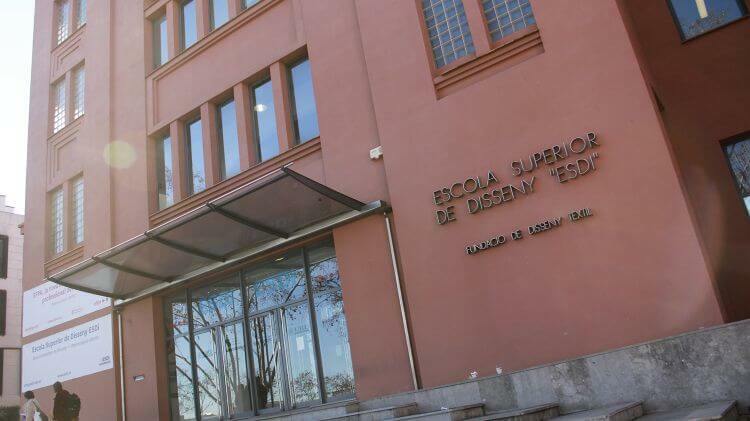 The activities will have no cost and will take place throughout June and July both at the Sabadell campus of the ESDi and its extension classrooms in Barcelona, ​​at EATM School of Fashion Arts and Techniques.